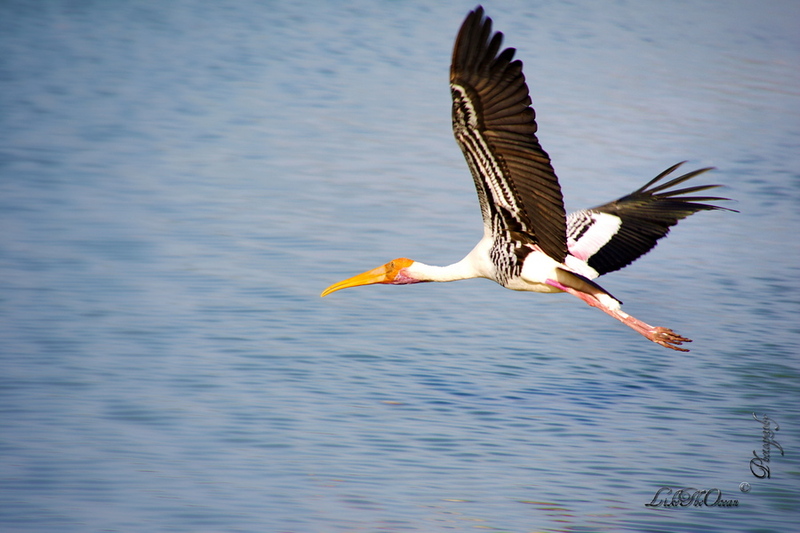 Vedanthangal sanctuary (@ Kanchipuram district, 90 kms of Chennai) , serves as a nesting home for many species of birds. The vegetation, the lake, the swampy land and the peaceful ambiance attracts and sustains the birds each year. The birds nest here mainly from the months of November to February. Depending on the time of visit one could see groups of painted storks. The below shot is with the aid of my 18-270mm Tamron. After about 15 mins of chasing ;-) , managed to get this shot. Wish I had a 400mm, may be next time I make a visit, I should atleast rent one of those bazookas !!! yeah wow ! that is exactly how i felt when I captured this shot :) thanks !